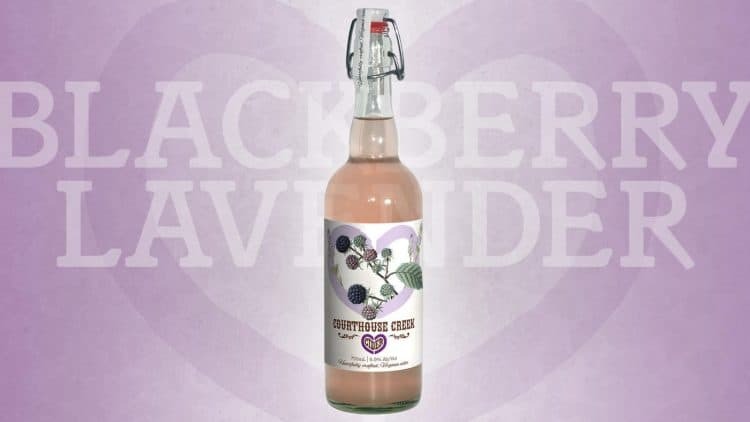 Courthouse Creek Cider released its Blackberry Lavender cider on Friday, July 13, and throughout the weekend at its two locations: the farm in Maidens, Va. and its newest space in Richmond, Va., Scott’s Addition District. The Blackberry Lavender cider was aged in bourbon and neutral wine barrels for six months, and then infused with local blackberries and fresh lavender. As with all of its ciders, Courthouse Creek Black Lavender Cider is produced by a rustic method: aged on wood, without any sulfites or preservatives, and left unfiltered. It finishes dry. Courthouse Creek Cider is the vision of a family sharing common goals and values, blended together to produce heartfully crafted, Virginia cider. You can find Courthouse Creek Cider at 3300 W. Broad St. #106, Richmond, Virginia or at 1581 Maidens Rd., Maidens, Virginia.